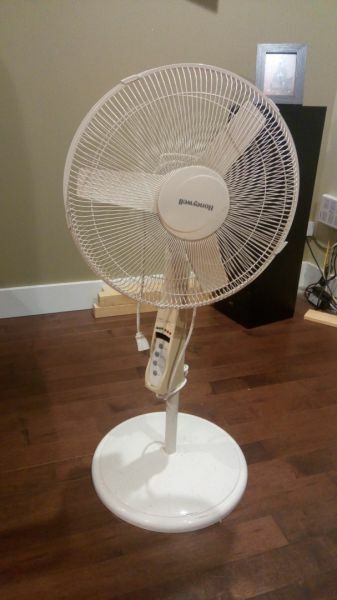 Like new Honeywell fan. Well taken care of in a NON Smoking household. Works great, over 4ft tall, can be adjusted and rotated. Has a timer and speed setting as well as a breeze setting. Want to get rid of it as I am moving and won't have space.